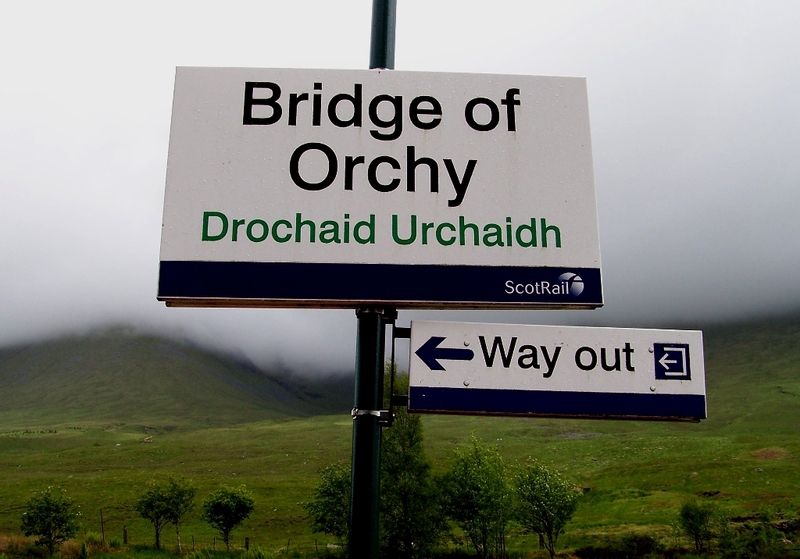 JUNE 2000: The most noble of plans sinks into dregs outside the Bridge of Orchy Hotel. 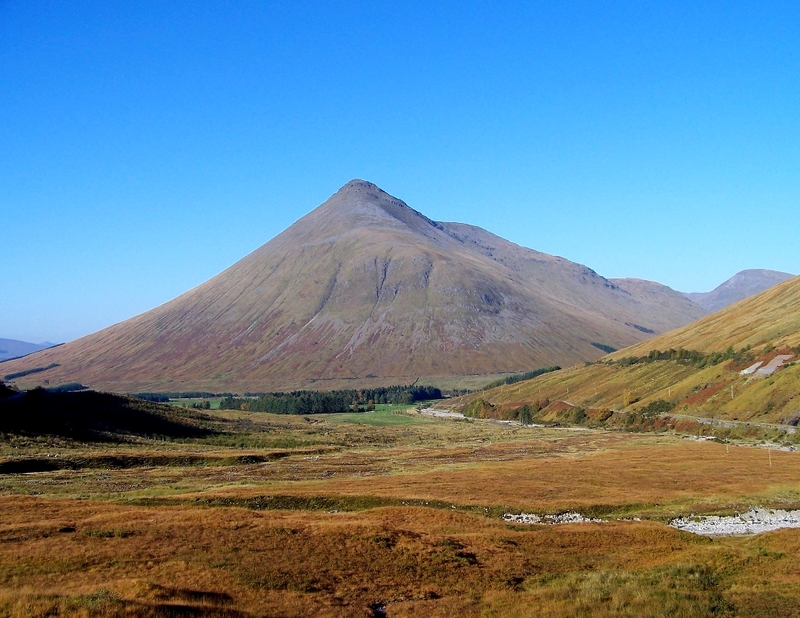 I’m walking the West Highland Way, and today I’ve hiked the few miles along General Wade’s military road from Tyndrum to the scattering of buildings that is Bridge of Orchy, with the intention of pitching the tent on the riverbank and climbing Beinn Dorain (pictured) before recommencing my walk tomorrow. But having downed several pints of beer and a beef sandwich on arrival, I now feel like dozing in the sunshine. So I do. Take no notice of Hogarth. Beer is the ruination of the productive classes, not gin . . .
June 2001: Back at Bridge of Orchy after a couple of days in Glen Nevis, I park the car, pull on my gear, and march up the tarmac road to the station, where the path to the summit of Beinn Dorain begins. I’m feeling good – full of energy and baked beans. There’s an underpass runs beneath the West Highland line, and on the other side a gate to the expansive mountainside. The sun is shining and a keen wind’s blowing from the north. On the gate is a notice that says: FOOT AND MOUTH. ACCESS TO OPEN COUNTRYSIDE FORBIDDEN. Neither a cow nor a sheep is to be seen. September 2001: Back a third time. The morning is cold and cloudy. At intervals of precisely fifteen minutes, great squalls of hail sweep in from the west across Rannoch Moor, obliterating the visible world and confounding the senses with noise and pain. They are sudden and ferocious. And more than a bit scary. Clad head to toe in winter gear, I struggle up a waterlogged path to the bealach between Bein Dorain and its northern neighbour. Up here there is snow in the hail and ice in the wind. Visibility is poor, even between squalls. Conditions deteriorate with every inch of altitude gained. This isn’t what I signed up for. It’s always blue sky and purple heather on the shortbread tins. I’ve had three months to ponder over the foot-and-mouth notice. According to my research, access should not have been blocked in this part of Scotland. I think somebody was pulling a fast one, like the farmer at Piercebridge who closed all the paths on his land then opened them up at the height of the crisis when his pick-your-own strawberries were ready. No strawberries here, though. Just misery. Beinn Dorain is one of the most beautiful and shapely mountains in the Scottish Highlands when viewed from the road north of Tyndrum. It is a stately pyramid rising from a glorious green glen. 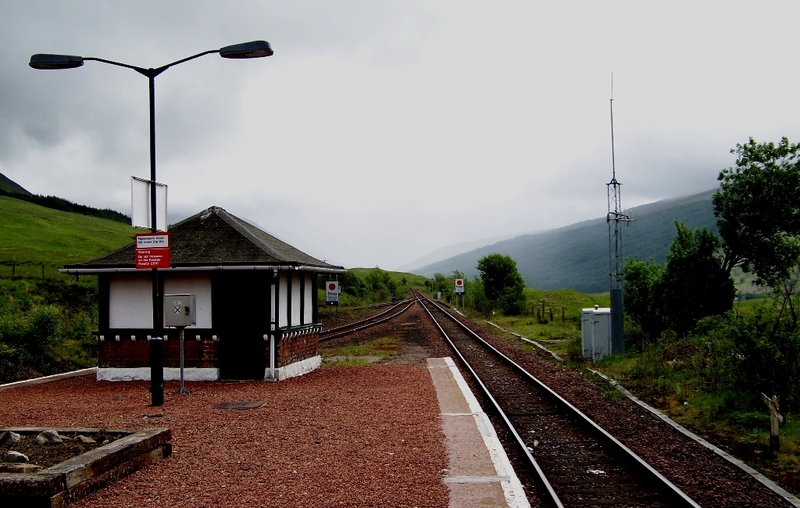 On certain days, travellers can glimpse the pure white smoke of steam locomotives as they haul passenger services around the mountain’s toes and across the picturesque viaducts of the West Highland line between Glasgow and Fort William. But, like many beautiful and shapely mountains, the beauty and shapeliness diminish when the peak is observed from different angles. Rising above Bridge of Orchy, Beinn Dorain and its neighbour are great swelling green lumps connected by a dark and indefinite ridge, hardly worthy of celebration on a tea-towel, never mind a shortbread tin. Up here today in the howling wind and thrashing hail, Beinn Dorain is an ugly, grey, inhospitable beast. On the 1,076-metre summit I experience a rare moment of satisfaction. As another squall retreats, the world opens up at my feet and I glimpse – for a few seconds only – distant glens and hills rolling south towards Loch Lomond and Glasgow. If I had my camera I’d take a picture, but I ran out of film yesterday in Glen Nevis. And I’m not spending money on one of those digital contraptions, because you just know they are a complete gimmick and are going to share the same ignoble fate as eight-track audio tapes and Dixieland car horns. I’ve been caught out like that before. I backtrack to the bealach with hail drumming the left side of my body, but instead of heading down to the station I climb northern slopes towards Beinn Dorain’s neighbouring Munro, the 1,004-metre Beinn an Dothaidh. Hail and snow scatter horizontally from the west. It’s an uncomfortable and challenging experience. Huddled behind the summit cairn of Beinn an Dothaidh, drinking my last cup of hot tea and totally insulated from the slenderest of views, I decide to make a hurried return to the car, but in doing so become temporarily lost on a windy plateau. This experience adds an uncomfortable half-hour to my walk. Down at Bridge of Orchy the rain drifts in waves as wind buffets Rannoch Moor. It’s no day to sit outside the hotel enjoying beer and beef sandwiches. Instead, I brew a pan of tea in the shelter of the hatchback. 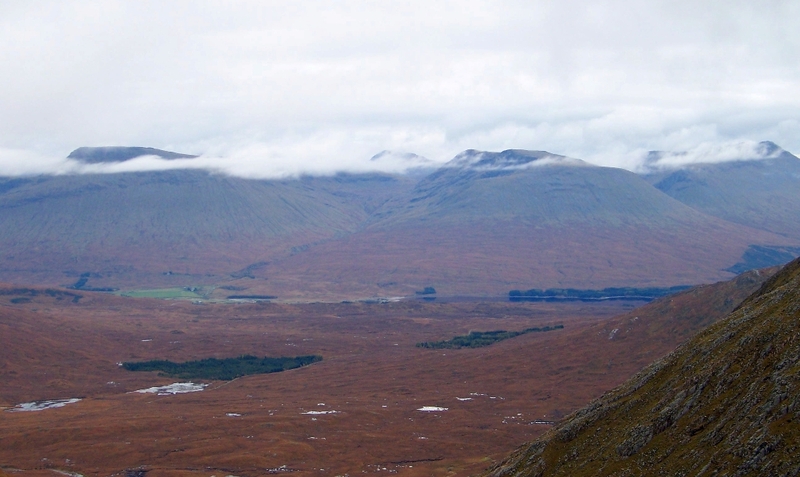 High in the mist, Beinn Dorain and Beinn an Dothaidh stand unseen and unmoved by my visit. Unlike audio tapes and the fickleness of man, mountains don’t alter. The squalls roll in, wind bends trees, yellow lights flicker on distant trains, but the mountains remain tall and constant. I dwell upon this thought during the long drive home. Perhaps that’s a reason why people climb mountains – because those rocky lumps are one of the few constants in our lives. Anyone want to buy an eight-track tape player and one of those anti-static straps to hang from your car bumper? What about a camping stove toaster made from asbestos – brand new in 1968 and only used once by my father on a family holiday in Cornwall? Pair of Wayfinder shoes with the footprints of ten British animals moulded on the soles and a secret compass in the heel? Penknife with a tool for removing stones from horses’ hooves? Steel punch for making triangular holes in beer cans (essential item at one time)? Canvas igloo tent and foot-pump . . . ? 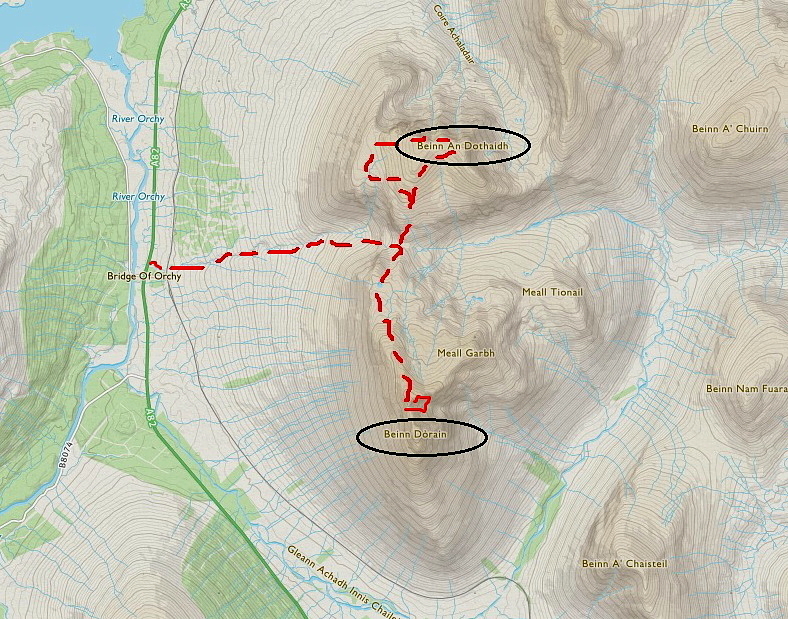 This entry was posted in Beer, Camping, Climbing, Environment, Footpaths, Hiking, Life, Mountains, Railways, Walking and tagged Munros, outdoors, Scotland, The Munros, West Highland Way, WPLongform. Bookmark the permalink. Ta, Iain. I have, since, bought three digital cameras and I must admit I wouldn’t go back to film. Embrace progress, that’s what I say. I’m a convert, Carol, and they’re the worst sort of people. 2001 feels recent, but it’s 16 years ago. I bought my first proper computer only three years earlier and ummed and aghed in the shop about whether I really needed one with a cd drive. Is the anti-static strap still for sale? I wonder sometimes whether I’ll ever climb a Scottish mountain. I’ll probably learn how to pronounce their names before I get to any of the summits. Without the weather they look like beasts. There’s a general rule about the pronunciation of Scottish mountain names, Chris: they never sound anything remotely like what you think they will. My first computer was an Amstrad and I thought it was so advanced because you could delete words you had just typed. And I don’t know about the anti-static straps but you can still buy those anti-static guns for supposedly ridding your vinyl records of static – but they were probably before your time. That sounds like it might work. I preferred Beinn an Dothaidh of the two by quite a long way – a few interesting summits on a nice promenade round them (we had slightly better weather but still snow and some cloud). Hope you went to the true summit of Dorain which hides unseen in the mist a bit further along the ridge after a dip – you probably did. It would be the one you’d look straight down the steep nose to the road from if you’d had a view. 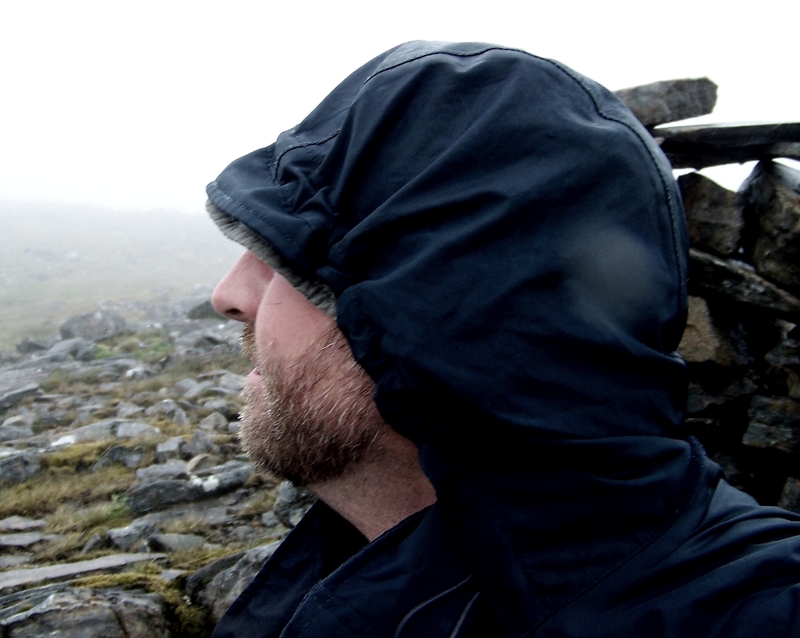 Many of my Munros were inhospitable beasts – I’m sure they’d have been nicer in good weather! If you hang onto the eight-track it will probably increase in value in a few years’ time, Carol. Your nice promenade round Beinn an Dothaidh was probably the place I got lost in the howling mist. I expect it’s a pleasant place on a nice day. You had me worried for a moment with the false summit on Beinn Dorain. I thought: not another one I’ve got to do again! But no, the mist definitely broke and I definitely had a brief but wonderful view right down into the glen, so I must have been right at the end of the ridge. Phew. I think you should keep both houses because it sounds like you might need the space. paying 2 lots of council tax is hurting a bit! Have you still got the dixieland car horns? You’re right, Alan. It’s a dilemma, and one that will never be overcome. And no, the car horn went along with the six-foot fibreglass whip aerial and the sun visor strip that said BONNIE and CLYDE. That’s a grand mountain day Alen. Whenever I think of those hills I think of of Jim Curran (Book- The Middle Aged Mountaineer). Back in the mid 90’s he broke his ankle while climbing with Paul Nunn at the top of the glen leading up onto Beinn Dorain. Over many hours and in the dark he crawled and was pulled by Paul on a makeshift rucksack sled all the way down the Glen back to the Bridge of Orchy. In the true style of the day, they stopped off at the Clachaig Inn for a few drinks before heading to the hospital in Fort William. True story! Hi David. That’s a great story, and one I’ve not heard before. I’ll look into seeing if I can get a copy of that book on Kindle. It makes you wonder what you’d do in similar circumstances. 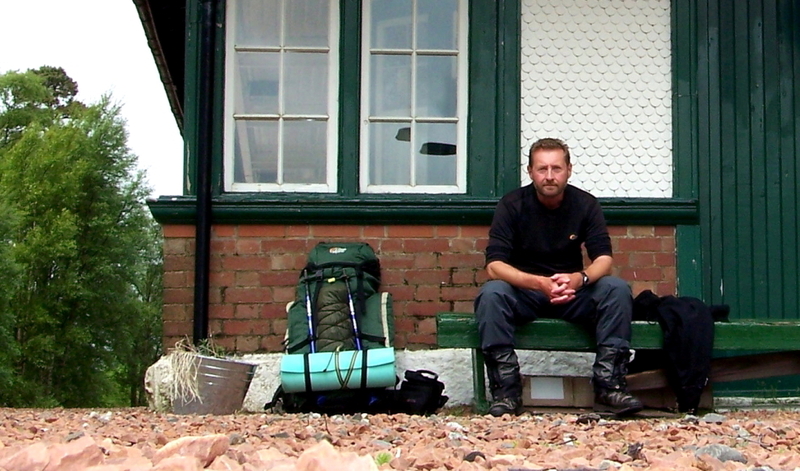 I think I’d have given the Clachaig Inn a miss, despite its charms, never mind the horrors of a self-rescue attempt. Just goes to show how self-reliant people can be. Great read, Alen. I have met them in Norway. The people who climb mountains. They need the challenge, just as you do. I love the mountains too. The friendly mountains with beautiful flowers valleys and small streams where the water gives life and where you can put your thirst. But I know what it’s like to have planned a certain walk and being met with obstacles just before you start. I have tried this on a wonderfully exciting 7 km long reef that stretches from Samsø, an island in the middle of Denmark, and where you can go to the head of the reef. However, it is not foot and mouth disease, but the tides that can prevent an adventurous day. Last time I got myself a table of tides, but it was too dangerous to wade, when we stood there. An ice-cold sea and strong currents are a bad combination. Hiya Hanna. Thank you for that wonderful comment. I would love to explore the mountains of Norway, and one day I might. But it will not be in the immediate future. I remember you writing about the walk along the reef. I thought at the time is sounded like a bit of a risky business. Bad weather can get better and conditions improve, but tide and time wait for no man, as the saying goes. No one should take risks where rising tides are involved.